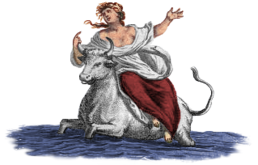 Europa and the bull, depicted as the personification of Europe. As the United Kingdom moves to withdraw from the European Union (EU) in what has become known as the Brexit, leaders across the Continent are increasingly looking to see what will Germany do under the new set of circumstances. There is no doubt that as the second largest economy in Europe makes preparations to follow an independent path, the role that Germany will play will be crucial within the EU. 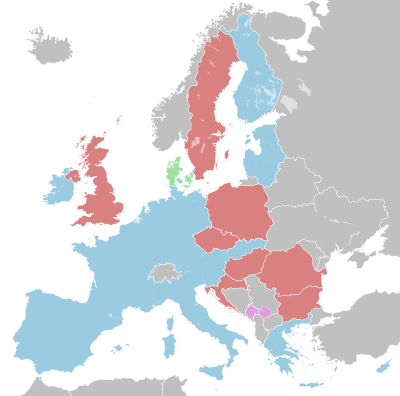 There is already strong movements in a number of other countries, that are calling for referendums to decide if membership in the European Union should continue. 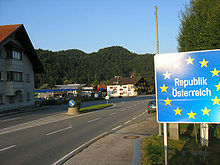 The nations of Austria, Hungary, Finland, the Netherlands and most importantly France, have large numbers of voters who may wish to depart or lessen their obligations to the EU. The German economy has progressively become the essential element in maintaining unity among the 28 member bloc that will soon be reduced by one. In addition, the financial markets will now be paying far more attention on growth prospects in Germany. The 19 nation Euro-zone is becoming ever more dependent on movements in the German marketplace. Despite opposition from Germany, the European Central Bank (ECB) has totally distorted financial conditions in the Euro-zone, by reducing the refinancing rate down to 0% and the deposit rate down to -0.4%. The lending rate is a mere 0.25%. The ECB move into quantitative easing that began with the purchase of asset backed securities in 2014, has accelerated. In March of 2015, it was announced that a total of 1.1 trillion Euros, the equivalent of $1.2 trillion USD (United States Dollars) was going to used in buying government bonds. The ECB would begin to purchase 60 billion Euros a month. In 2016, this amount would be increased to 80 billion. Seat of the European Central Bank located in Frankfurt, Germany. In June of this year, it was announced the ECB has begun the process to purchase corporate bonds as well. The enormous amount of bond buying by the central bank, has been done mostly over the objections of Germany. The country fears the ECB actions will not only devalue the Euro beyond repair but, will in the end fail to bring the return of growth. As of yet, the goal of 2% annual inflation has remained illusory. The failure of the ECB was highlighted this week when for the first time ever, the German central bank sold a ten year government bond with a zero coupon. The 4.038 billion Euro sale comes with a yield of -0.05%. Investors will now receive a negative return on German debt. It is an ominous sign of even more financial challenges in the future. Angela Merkel, Chancellor Of Germany since 2005. 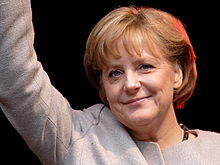 Conservative German chancellor Angela Merkel has become the most important leader in the Euro-zone and the larger European Union. Her enhanced status is based on three main factors which include her longevity, she has been the leader of the country since 2005 and has won three consecutive elections. The other two is that she is in charge of the largest economy in the EU by far and her personal style of leadership. Mostly studious deliberation, followed by careful steps forward after building consensus. The only possible competitor to her position is the Socialist French leader Francoise Hollande. 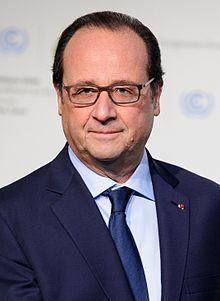 He has been President of France since 2012. His present popularity is dismal, last month it was as low as 16%. There have been large protests across the country over his labor reforms. President Hollande presides over an economy that is struggling to maintain growth and is saddled with debt. Government debt to GDP ratio in France was 96.10% in 2015 and is still growing. The budget deficit remains above the 3% agreed upon, by member nations in the Euro-zone. Unemployment remains above 10% and growth remains a big issue of voters. It is expected that the economy will expand by 1.5% in 2016 and just 1.4% in 2017. The good news is that these tepid rates are higher than what has been the case since Hollande has been in office. Although France has now surpassed the United Kingdom as the 5th largest economy in the world and the 2nd largest economy in Europe, it is entirely due to the plunge in value of the British pound following Brexit. The German economy grew 0.7% in the first quarter, more than doubling its rate of expansion. Rising private consumption and higher investment in construction as well as more spending on refugees, offset the dip in foreign trade. At that rate, the yearly gain in GDP would be 2.8%. Unfortunately, growth for the second part of the year is expected to slow to about 0.3%. Record high German employment and rising real wages are allowing consumers to provide the demand for more goods and services, thus helping to propel the economy. German unemployment now at 4.2%, is at a record low since reunification in 1990. The German debt to GDP ratio peaked at 81% in 2010 and has been declining since. It dropped to a low of 71.2% in 2015 and is continuing downward, as the result of the government balancing the national budget. The balanced budget achieved last year, was last seen in 1969. The Merkel government was able to reach this goal, promised during the 2013 campaign a year early. That is came even earlier than expected, has initiated a debate within the German government. The junior partner in the governing coalition the center-left Social Democrats would like to see some additional spending in government programs. There have also been calls for tax relief in the form of allowances and child benefits. Others are concerned with income tax bracket creep. Where higher wages are actually forcing workers into higher rates of taxation, thereby negating the pay raise. These issues are likely to be major campaign themes in German national elections next year. The main problem for Germany industry, remains slower growth in the world at large. Demand from other Euro-zone countries is stronger, but will inevitably decline as more countries globally slip into recession. Another issue for the EU and the Euro-zone is the growing German balance of payments. It reached a record $285 billion USD last year which was 8.5% of GDP. Germany’s trade surplus is becoming the largest in the world, even surpassing China. The surplus is causing a problem with its neighbors and major trading partners. However, the Merkel administration in true German tradition, views it as a strength and is quite reluctant to do anything to alter policy to change the dynamic. This is despite EU rules that state, trade surpluses should never exceed 8% of GDP. Pressure from the European Commission and the IMF (International Monetary Fund) up to this point has been resisted. The euro crisis did cause a shrinkage of the surplus with other Euro-zone countries, but the surplus elsewhere widened. The German explanation for the surge last year, was due to the dramatic fall in crude prices and the depreciation of the Euro, which can only be temporary anomalies. However given the high rate of domestic savings, it is a situation that is likely to continue. It is becoming intensified as a result of the aging of the population. Another factor is the low domestic investment made by corporations. This is caused by the weaker growth prospects inside the country, when compared to overseas. The large financial surplus of the corporate sector is a contributing factor to the current account excess. This adds heft to German GDP at the expense of trading partners. 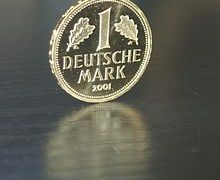 Before the Euro, a subsequent appreciation of the German mark would of ultimately reduced the trade surplus. 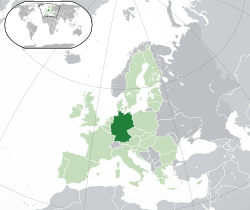 Inside the Euro-zone, the real exchange rate for Germany is anywhere from 15 to 20% undervalued. As part of the Euro-zone, the German government insists the underlining trade surplus is the result of the competitiveness of its trading sector, rather than an economic distortion. The feeling is that other countries within the bloc need to restructure their economies, government spending and reform their labor markets. This has led to the imposition of the hated spending austerity to many nations in the Euro-zone, as the price for financial aid to the periphery nations. There has been some success in this endeavor, with the surplus down by 50% with other countries within the Euro-zone since 2006. Italy and Spain have reversed the deficit with Germany and both now enjoy a small surplus. However, this re-balancing is more the result of low domestic demand and stagnating growth in many nations within the Euro-zone. This in turn reduces the importation of German goods. If the rest of the bloc was nearer to full employment, the trade deficits with Germany would likely return. The tolerance of voters in these countries for sluggish growth is beginning to wear thin. It explains the present political instability in Greece, Italy, Spain and elsewhere. These trade deficits are mostly financed through the auspices of the ECB, with Germany lending increasing amounts of money through its central bank known as the Bundesbank to the ECB. The central banks in the debtor nations within the Euro-zone, are creating massive liabilities to the ECB. The amount of money lent by the Bundesbank to the ECB is now in excess of 600 billion Euros ($667 billion USD) and rising, despite the tapering of the trade balances. It is becoming a major political issue within Germany, where some are now beginning to question the safety of these investments. If something would happen to the common currency zone, would these obligations be honored? What has also become progressively controversial among German trading partners in the Euro-zone, is the massive capital flows that are heading to Germany as debts and loans are repaid. These are erasing any real improvements in the actual trade imbalances. 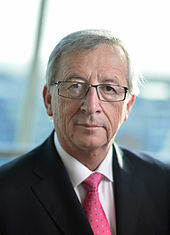 Incumbent President Juncker of the European Commission. The other Euro-zone leaders as well as the European Commission and the IMF are insisting Germany could do far more, in reducing their massive external balance and help the neighboring countries within the bloc. These would include a large increase in regards to infrastructure spending in Germany and more market reforms in labor, to help with economic growth. The sentiment being if the German economy would begin to expand at a faster pace, it would benefit all nations within the Euro-zone by delivering more growth everywhere. This would result in rising levels of private investment across the Continent. Additional suggestions include pension reforms, thereby reducing the high savings rates among the citizenry in Germany. Further deregulation of services as advised, would increase productivity. Of course, the leadership in other countries are insisting that Germany should engage in these efforts, while their own reform movements are sputtering. As part of the Grand Coalition the conservatives in Germany have agreed to raise wages on a national level. The proposal that wages should now be increased at even a faster rate, to reduce the trade competitiveness of Germany with the rest of the Euro-zone, is not politically popular with the Merkel administration. 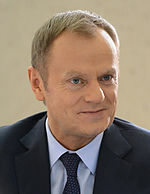 President of the European Council, Donald Tusk from Poland. In fact most of the solutions offered by the outsiders to the German surpluses, are not being taken seriously among many leaders in Germany. Although some of the reforms may be inevitable, the majority of them will be slow in enactment. Therefore, it is likely that current account surpluses will exceed 7% of GDP for years to come. The arrival of Brexit is forcing Chancellor Merkel to finally deal with a number of issues that she has attempted to muffle. Although the next federal election is still more than a year away, the Social Democrats are using the upcoming European unity crisis as a way to undermine Merkel and her government. Chancellor Merkel is already under pressure from her own party resulting from the controversial acceptance of over 1 million refugees in 2015, more than 2 million total in two years. These migrants will be hard to assimilate and have added to the rising crime rate throughout the country. In addition, the deal she has attempted to strike with Turkey in returning a number of them is tenuous at best. Now that the United Kingdom cannot put up further roadblocks, the Social Democrats in Germany are pushing for more centralization and far deeper integration of the EU. They want a new forging of European ties, that will move more power from the national to the union level. As part of the consolidation the Social Democrats and some smaller groups to the left are advocating immense investments in new data cables, power grids, roads, rail lines and environmentally friendly developmental projects. These undertakings would provide jobs that would finally reduce the stubbornly high youthful unemployment that exceeds 20% in some places. However the Christian Democrats the senior partner in the coalition, will never agree to any of those grandiose ideas. They have determined that ever close unity is not where the majority of Europeans are in their thinking. Dramatic new initiatives would be a tough sell in many countries, particularly in Germany. Many tax payers already there are resentful that they are on the hook and have funded so many schemes, that have been created to bailout their Mediterranean neighbors to the south and to the east. 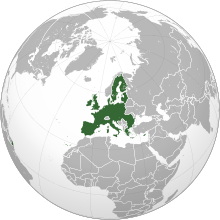 European Union on a Global Map. Chancellor Merkel will have a difficult enough time dealing with the refugee crisis and the continuing flows of migrants towards the European core. There are a plethora of issues that include the securing the external borders of the European Union, the banking crisis in Italy, a militarily resurgent Russia, terrorism and a common energy grid policy that the German government will have to take the lead. There are far too many German citizens and those of other countries that are losing faith in the European Commission and the Parliament. Increasingly, it looks like the European Council which is made up of the leaders of the separate member states will be called upon to take the lead in some of these pressing issues. If this does happen the power of Mrs. Merkel will be magnified and her perceived dominance, could well create a backlash among other nations in the EU. The Chancellor has the additional worry that as the EU comes further under German hegemony, the burden and responsibility of running the Union will increasingly fall to Germany, as other nations fail to act. They will instead enjoy the benefits of being part of the EU, without the corresponding obligations. It has already been moving in that direction before the Brexit. During the crisis with the Euro a few years ago, it was German funds and guarantees, that prevented a possible collapse. Germany has taken the largest share of refugees by far, in the migrant crisis over the last two years. As nations within the EU are threatening to close their borders, Germany and its generous welfare state remains available to all citizens of the bloc. Inside Germany, the politicians will debate whether Germany should use some of its growing power for national goals or in trying to preserve the strength and viability of the European Union. Chancellor Merkel and her ruling Christian Democrats seem more intent on maintaining a looser interpretation of unity, than the one envisioned by European federalists. In the end it will be the German electorate, that will decide what vision of their country and Europe will be created. The national election in September 2017, will begin the process of determining that future.